One of a few other mattresses by Brooklyn Bedding; the Titan mattress is designed to be bigger made for bigger people. Their site boasts a big mattress that makes a big impact, with good branding and a seemingly solid start. We wanted to know more about this mattress, and about whether or not they sacrificed some of the more traditional features we have come to expect in order to make their mattress grandiose. Let’s take a closer look at the Titan and see what we find out. The Titan mattresses website is bold and striking, using bright orange to grab the attention and project confidence. We like the sleek look of this offering. It looks sophisticated; like you know it is made from quality products before you even touch it. The color palette is elegant, the bed seemingly sturdy… when you add Brooklyn Bedding’s name and reputation into the mix the Titan comes out pretty well. Brooklyn Bedding was founded by two brothers in 1995 and has never stopped growing since. The explosion of the internet did wonders to spread word of this firm and helped to market their vast product range and varied choices in bedding. 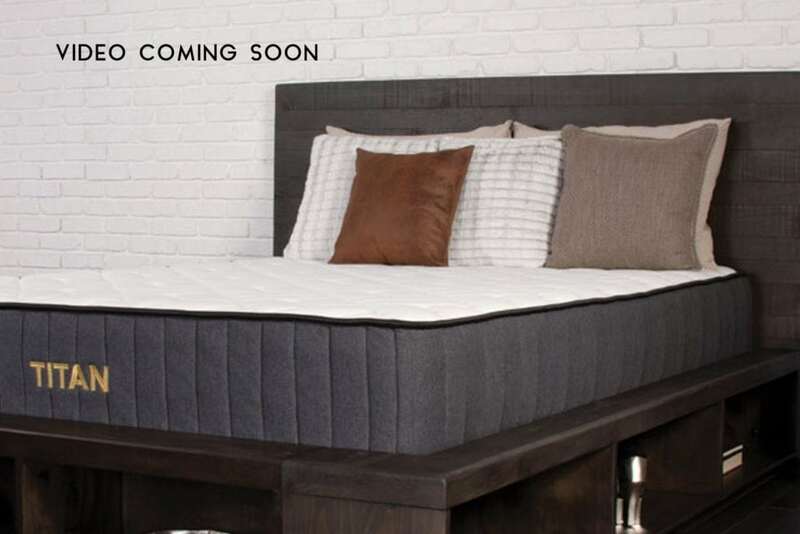 The Titan mattress comes from a brand that have had more than twenty years of research and development in the mattress industry – so we expect good things. 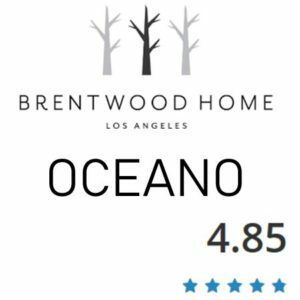 All this being said, Brooklyn Bedding isn’t as world renowned as some of the bigger brands we have reviewed. We recall seeing less advertising on their behalf than we have others, and for these reasons we have awarded the Titan a 9 out of 10 for branding. Delivery of the titan mattress is usually free and will take between 8 and 10 working days from ordering until it arrives. When it does arrive it will come inside a small box and vacuum sealed inside plastic wrapping. You will need to open both to get to your new bed! We recommend that you take your new mattress into the room that it will stay in and maneover it into position before you open the packaging. When you are suitably ready, take a sharp tool and cut away the wrapping; being careful not to cut the fabric of the bed while you work. Once all the wrapping has been peeled away your bed mattress will start to expand. The expansion process takes anything up to 24 hours but after that you will have the mattress that you need. You will be able to put sheets on it and sleep on it before it is fully expanded, so you will be free to enjoy it from the moment it is big enough to use. We gave the Titan a 10 out of 10 for delivery and setup, it is a streamlined, easy process that encourages you to buy. • Are a particularly weighty individual and need a mattress you can be sure will support you. • If you do not want a mattress that will swallow you. • If you are looking for a large sized, solid and firm mattress. • Want a heavy duty, durable mattress that will last. • If you sleep hot. • Are a lighter person, although if you are sharing with a heavier partner this bed will not see you roll into them in the night. • Like to sink in to the foam and don’t want bounce. • If motion reduction is a high priority. • If you would prefer a full foam bed. • If you are a cold sleeper. The Titan has gone out of its way to be ideal for plus sized sleepers and it goes to show in terms of comfort and feel. The top layer is a one inch thick mix of cooling gel infused memory foam that will both contour to your shape and provide a plush feel that hugs your body. The mattress beneath has only one firmness rating and it sits at around 8 on the scale; but it has been designed to be that little bit more sturdy than other mattresses intentionally. The next layer features their patented TitanFlex foam which both contours and supports your pressure points where needed. As a general rule the heavier the weight you place on a mattress the more you will sink in so those of us who are of a heavier persuasion would do well to opt for a hybrid mattress like this one. If a heavy weight is placed on full memory foam there is a probability of high levels of sinkage, resulting in the occasional claustrophobic feeling of been entombed. If you wish to avoid this then a hybrid mattress is the best choice. And should you go for a hybrid mattress in the end, the Titan will take your weight, allow a little spring and bounce and won’t result in front sleepers suffocating in foam. 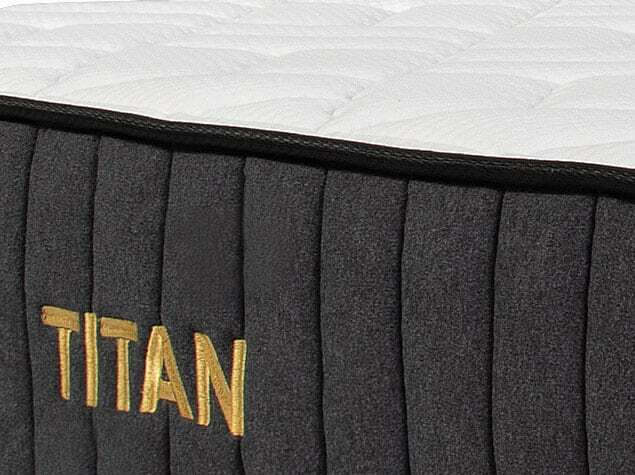 If you want a tough and supportive mattress that responds in all the right places then the Titan will work wonders. We gave the Titan a 9 out of 10 for comfort and feel. The reason we took a mark away is because it is not so comfortable to sleepers who like a soft mattress and for those of us who are lighter. If you want to sink in then don’t buy this one, go for a full foam bed instead. As we hinted at above the Titan is not the best bed for motion reduction, but this isn’t a design flaw nor is it an oversight; this is simply the nature of hybrid beds. 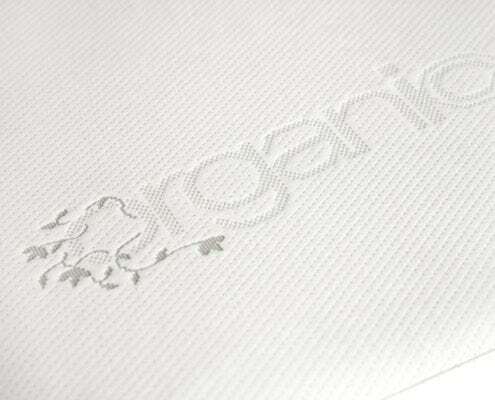 Hybrid mattresses use memory foam combined with wrapped coils. While the first attempts to contour to your body the second provides spring-back. The tougher the mattress the less likely it is to sink in as you lie or sit on it. Because the Titan is a firm model with hybrid technology it makes for a bed that has the potential to bounce you around at night. On the other hand; this firmness can work in your favor, too. For example, when it comes to edge support you will find you have more. When it comes to rolling around in the night you will find you won’t roll into your heavier partner… it is not a bouncy bed, merely one that does not engulf you in the way that memory foam does. 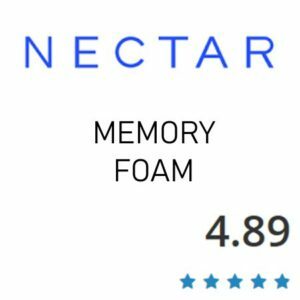 We know that full foam beds score higher in general in this category than hybrids do and, with that in mind, we will score accordingly. Off-gassing is a little deceptive because any new product that you bring home is going to smell a little of where it came from. Off-gassing seems to imply that the fumes that come off your mattress are somehow toxic or dangerous – in fact they are not. The scent has simply been the scent of wherever the mattresses have been stored and presents no danger whatsoever. That being said, a natural or an organic mattress will tend to smell more than others simply because of the fibers used to compose them. The Titan is not an organic mattress and carries very little scent. What smell there is can be compared to the smell of a new car or a new item of clothing. It won’t last and shouldn’t linger longer than 36 hours. Once you place sheets and a mattress protector (which we would always recommend) then any scent should be suitably disguised. By the second night you should notice that the mattress has started to ‘blend in’ with the smell of your room. We gave the Titan a 10 out of 10 for off-gassing because there was hardly anything to report. The problem with using memory foam in any capacity with regards bedding is that it tends to lend itself to sinking down. This happens when the aerated foam is condensed by any kind of weight and the intensity of the sinkage is a key factor in comfort. It also severely hinders the edge support of most full foam beds – and even some of the hybrid models too. Fortunately this is another area where the Titan managed to impress us. The edge support in this bed is fantastic – not just good, but fantastic. That one inch layer in the top does nothing to separate you from the firmness along the edges and that leaves us with a bed there is no chance you will fall off of. There isn’t quite enough spring to make you bounce off, either, so all in all we think Brooklyn Bedding have done an excellent job. This hybrid model represents the perfect compromise between bounce and sink, it won’t have you sliding off the edge when you sit on it and it won’t see you rolling into the middle in the night. We gave it yet another 10 out of 10… this is starting to become a habit! Of course we have already talked about the one inch thick, cooling gel infused top layer that works to contour to your body and provide temperature regulation. Underneath that we briefly mentioned the two inch layer of their patented TitanFlex foam which is both extra firm and molds to your body shape to provide that all-important pressure-point relief. Thirdly we find a 6 inch thick ‘core’ layer in which up to 1,000+ coils are wrapped. They are bound in the same high density memory foam as the layer above, allowing the spring to remain in the upper layers while they simultaneously cushion and support you. The coils are patented as TitanCaliber coils that are designed to fight against the motion reduction problem. We liked that touch as it shows thought and consideration. Lastly the whole Titan mattress stands on a two inch thick layer of high density, high durability foam that will support the coils as they are compressed and will provide rigid longevity to the whole product. We like how much consideration they have placed in their materials but we would have liked to see a little more consideration towards the sustainability of their sources. Titan Mattress also features a cover that is both breathable and stylish. The Titan Mattress will work great on any solid surface. The floor, platform slats, boxspring/foundation and they now offer an adjustable base as well. Since the Titan is a bed made for bigger bodies it was fairly considerate of their research team to work in that layer of cooling gel technology. This isn’t just the result of innovation but also of some serious thought on the designer’s part. That top layer is dual purpose – contouring and coolness – meaning that the Titan provides you with relief all night long. 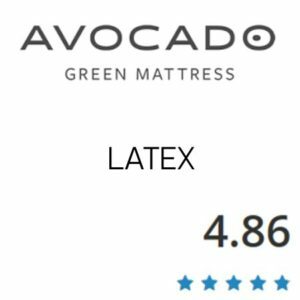 This mattress has more factors that contribute to it’s temperature than just the top layer. There are four separate layers to this product, each of which allows for air to pass through the mattress as you sleep. Add this to the airflow that gets between those individually wrapped coils and you will find that it promotes a deep and comfortable sleep. We like that Brooklyn Bedding did their homework on this front and also that they paid attention to the airflow while using such a high density foam. Without it this bed would surely sleep hot regardless of the cooling gel. 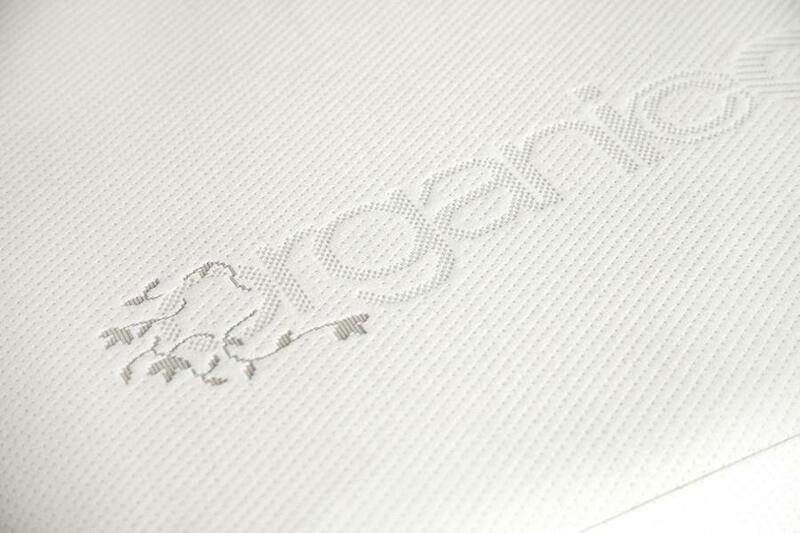 We liked the way they approached this mattress and the way they really took the customers needs into consideration. With all that in mind we give them a 10 out of 10 for temperature. Top marks and well done. The Real Sleep being all foam will work great on an adjustable base. The Titan mattress is covered by Brooklyn Bedding’s standard trials and warranties. This means that it comes with a slightly above average 120 night risk free trial. This trial leaves you with no obligation to buy and can allow you to trial the mattress over a few different months and maybe even over two different seasons. Doing this will allow you the knowledge of how the mattress will perform in both hot and cold conditions before you commit to buying. The warranty is for ten years and has a variety of clauses. They will replace defective bedding or mattresses which have started to sag – as long as the bed frame is sturdy (i.e. as long as the user has not inadvertently caused the sagging by using an unsound frame). The warranty also covers replacement of your mattress if any indentations of your body greater than one inch are present. There is no mention of how discarded mattresses are disposed of and this was a little disappointing. While other brands donate unwanted mattresses to charity Brooklyn Bedding does not. In light of all these elements we chose to give the Titan a 9 out of 10 for trials and warranty. If they gave us a lifetime guarantee as some vendors do we might be moved to change our minds. Likewise if they started to donate old mattresses this score would also rise.